The Falling Creek Theater program facilitates the creativity of campers and staff. 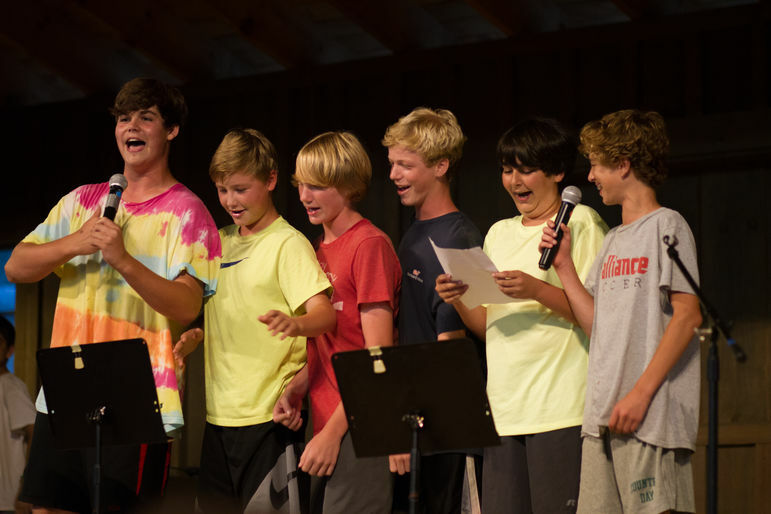 Campers have the opportunity to participate in morning assembly, church, campfire skits, and talent show skits. They also work on a full-length play production for our June Camp and Main Camp Sessions. Theater has a youthful energy with the empowerment of its participants. Youth theater is vital to the personal, social, political, aesthetic and educational development of young people. Theater art is a universal expression of human kind and helps young people to find their place and voice in society.